Spending a day in Italy’s lush wine country is equally romantic, adventurous, calming, and delicious. You can even experience the nation’s renowned vintages without even leaving its bustling capital. Here are some top wine tours in and around Rome. Instead of traveling out of Rome to the wine, why not let the wine come to you? 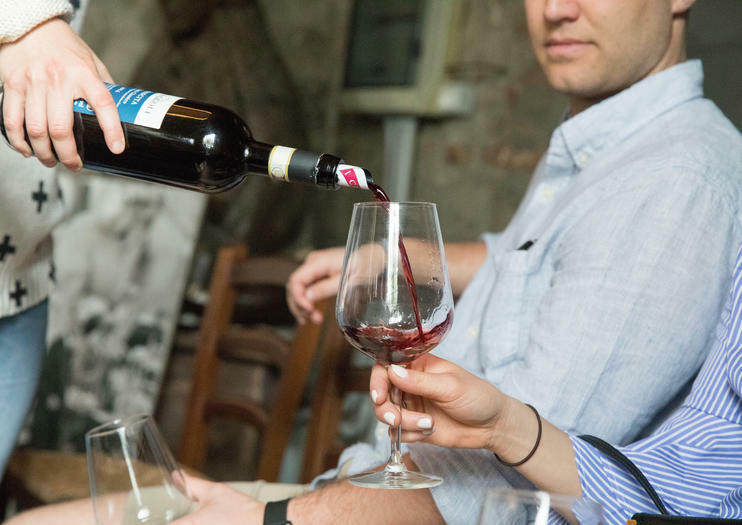 It’s easy and convenient to sample some of Italy’s very best varietals and vintages right in central Rome by combining a wine tasting tour with stops for food and sightseeing. Pair wines with flavorful food as you tour the city’s Jewish Ghetto, or retreat to a gourmet, private cellar to enjoy a luxurious three-course meal—replete with wine pairing, of course—in a historic Roman building. If you want to escape the rush of the city and take in some fresh country air with your wine, there are numerous wine tasting day trips—from Chianti to Val d’Orcia—from Rome. Explore the towns dotted across Tuscany’s rolling hills while sipping Brunello and Nobile, or weave your way through the olive groves of historic Castelli Romani. Visit wine cellars with origins that date all the way back to the Roman Empire and see the famous Castel Gandolfo, where the pope has been known to spend the summer to escape the Vatican heat. Half-day tours to the Frascati region usually last three to five hours. Full-day tours to Tuscany and Chianti can last anywhere from eight to 12 hours. For tours that leave the city, pack a light jacket, since it’s often cooler out in the country. Transportation is included with all tours, a convenient inclusion given Italy’s strict laws regarding drinking and driving. Most tours offer the opportunity to buy bottles of wine at stops along the route.